Cape Town - Over 500 firefighters, disaster management, medical and rescue workers will attend Saturday's Vodacom Super Rugby match between the Stormers and the Chiefs at Newlands, as WP Rugby pays tribute to some of the brave men and women who work tirelessly to fight fires in all regions and communities of the Western Cape. Cape Town's South Peninsula was hit hard by blazing fires last week - highlighting the incredible bravery and hard work of our fire-fighters, disaster management, medical and rescue workers in our region. The Stormers team chose to wear red armbands in last Saturday's game against the Sharks, as a small gesture towards the firefighters in the wake of the Cape Fires, but this week will see some of our heroes given a bigger platform at Newlands to thank them for their constant bravery and hard work. Not only will the firefighters, disaster management, medical and rescue workers be given tickets to Saturday's big match at Newlands, but they will take to the field right before kick-off for a minute of applause. WPRFU president, Thelo Wakefield, commented: "This is just a small gesture from us at WP Rugby to extend our thanks and show our respect to the many heroes who are out there risking their lives - for all the communities of the Western Cape - throughout the year. 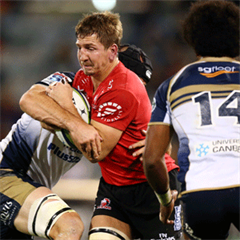 "Last week, in particular, was a tough time for the Western Cape, with the Cape Fires and then, also, the tragic bus accident involving Franschhoek RFC last Saturday," added Wakefield. "However, during (tough) times like these it is always heartening to see how people pull together and true heroes, like the fire-fighters, disaster management, medical and rescue workers, emerge in the process." 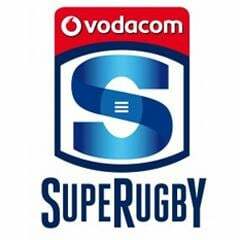 Saturday's match between the Stormers and the Chiefs, the SA and NZ Conference leaders, respectively, will get underway at 15:00. Meanwhile, a bucket collection will also be held at Newlands on Saturday as a fund-raiser for the Franschhoek Rugby Disaster Relief Fund, in aid of those who were injured or for families who lost loved ones in last Saturday's tragic bus accident involving the Franschhoek RFC. "It was with great sadness that we learnt about the tragic bus accident involving Franschhoek Rugby Football Club in the Franschhoek Pass. In all, 26 people were injured and three people - two rugby players and a spectator - sadly lost their lives in the accident," said Wakefield. "I went to visit the club and the community of Franschhoek last Sunday, along with fellow members of the WPRFU Executive, and it was very sad to see what an effect, both physically and mentally, the bus accident has had on the club members and the community of Franschhoek. "We, as the Western Province Rugby Football Union, have committed ourselves to provide the utmost level of support to the club, families of the deceased and injured - many of whom do not have the funds to pay their medical bills - as well as the community of Franschhoek at large and to help keep this proud and enthusiastic club running."